The Edna Adan Hospital Foundation exists as a result of your generous donations. With your contribution we are able to train new groups of midwives, expand our training programs in Somaliland and serve more women and children in need. 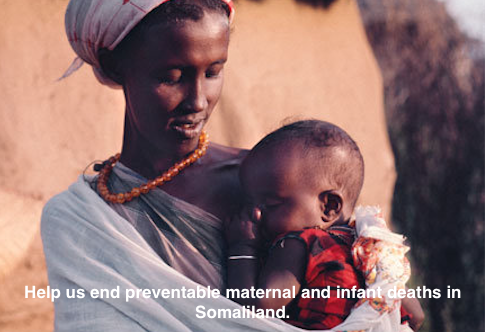 By donating, you help a young woman in Somaliland have a cleaner, safer birth and help ensure that her child will get immediate medical care. Your donation is tax deductible (U.S Only). Donate 100% - Add 3% so that 100% of the donation goes to EDNA ADAN HOSPITAL FOUNDATION. EDNA ADAN HOSPITAL FOUNDATION has partnered with Network for Good to securely process your online credit card payment via Network for Good (tax ID 68-0480736). This transaction will appear on your credit card statement as "Network for Good." This transaction is subject to Network for Good’s Privacy, Security & Disclosure Statement and the Charitable Solicitation Disclosure.